Public Education in Ontario: Who does what? The Ontario Teachers’ Federation (OTF) represents the approximately 160,000 teachers in Ontario’s publicly funded schools. It is the unifying voice safeguarding their profession, pensions and public education. This is a mandate that OTF has met for over 70 years. 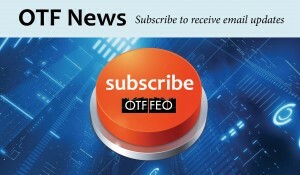 The Ontario Teachers’ Federation (OTF) offers this email list to those who are interested in receiving information from time to time on OTF activities and issues.